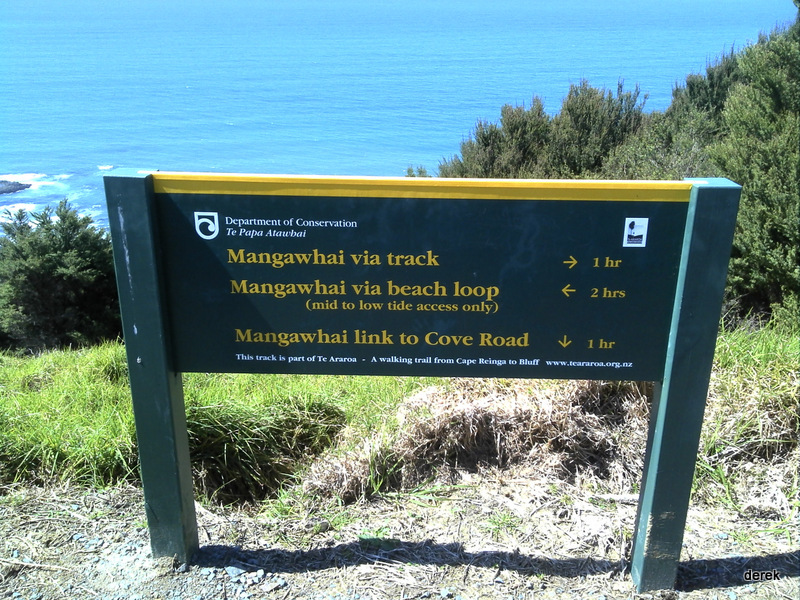 Trails: Mangawhai Heads car park – Mangawhai Heads beach (low tide) – Mangawhai Cliffs Walkway – Mangawhai Heads beach – car park. Car Park: Yes. 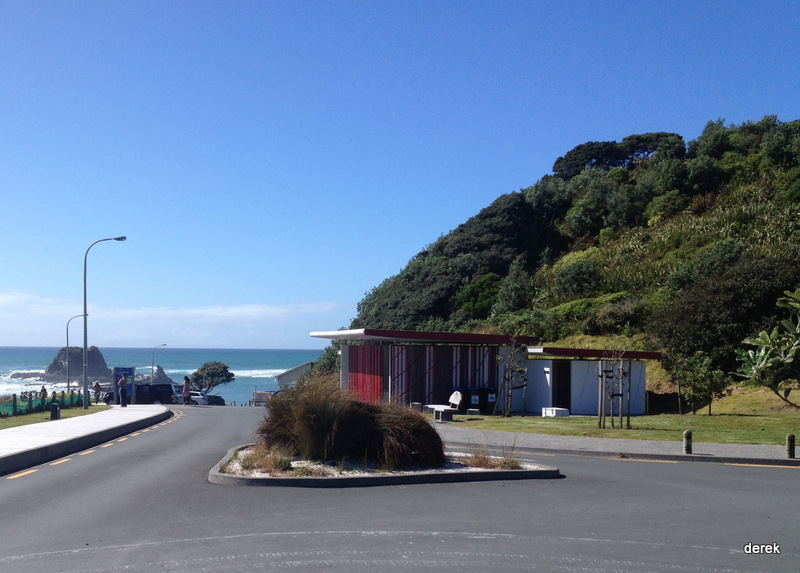 Set “147 Wintle Street, Mangawhai Heads” in your GPS. 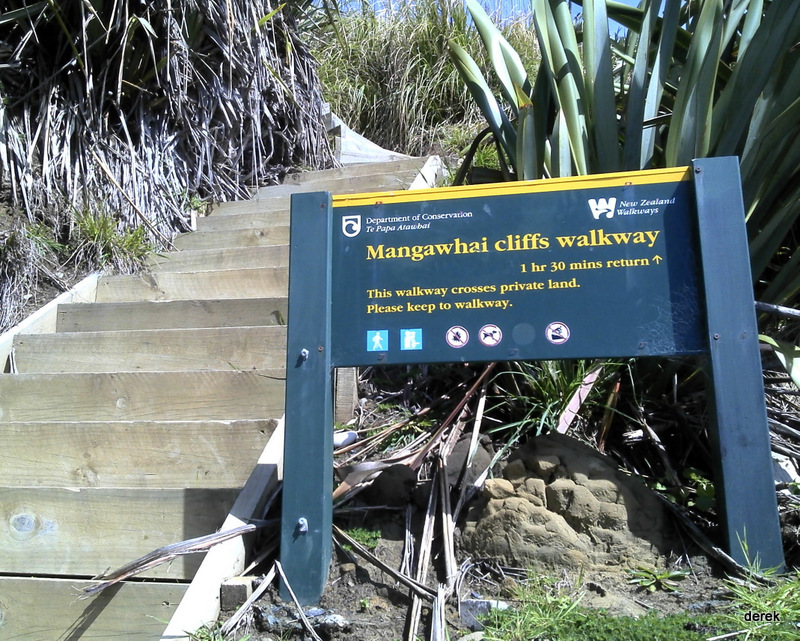 It’s very end of Wintle Street, Mangawhai Heads. 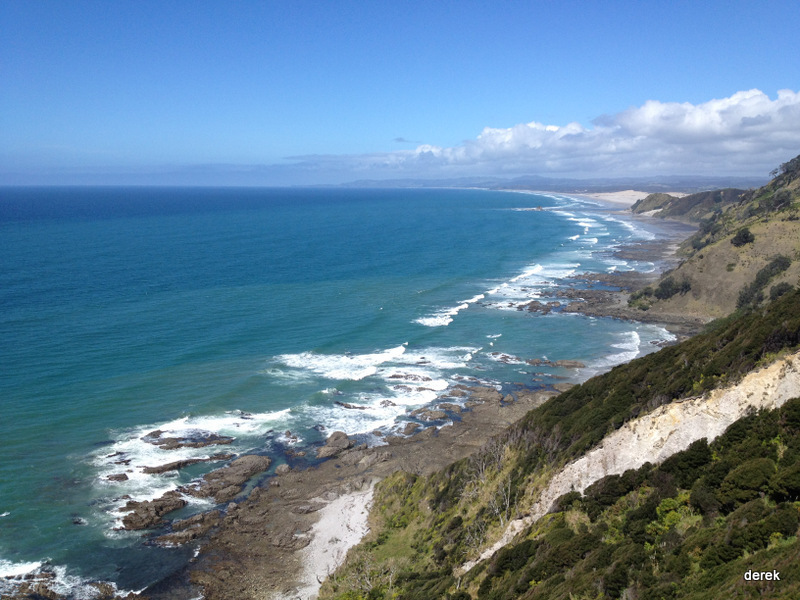 About 90 minutes drive from Auckland city center. For better map display, click the buttons (Full Screen, Hide/Show Photos and Back to Center) in the top right corner of the map to study the tracks we took or any other tracks. 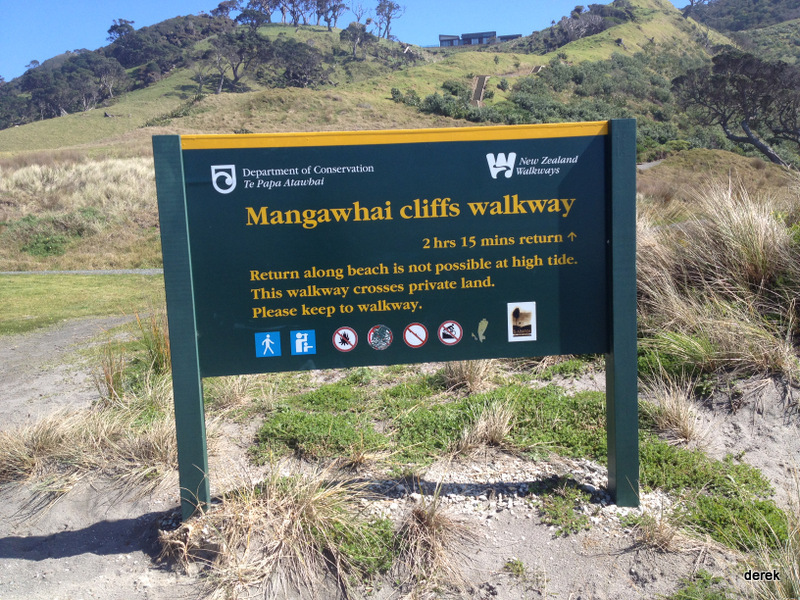 For more information about Mangawhai Heads, you may go to Mangawhai Heads. The “Total Time” is my time in September which includes morning tea time and lunch time.